Go for all-out gorgeous. Ready to finally get the look you’ve always wanted? 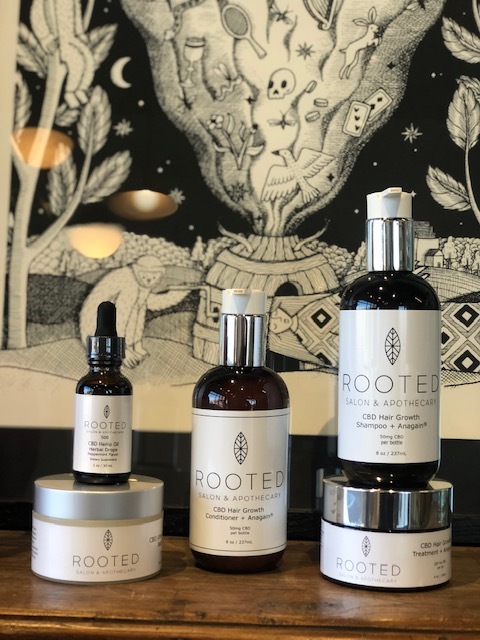 You just have to check out Rooted Salon & Apothecary, they are a full-service salon dedicated to making your beauty dreams a reality. And that connection starts with their extensive menu of hair, brow, lash, event and makeup services. It ranges from a simple blow out and root touch up to Balayage highlights and facial waxing to makeup applications, lash tints and even weekend lashes. And this crew of 6 stylists is ready to take your look to the next level, click here to learn more about them and their expertise. They stay current and on-trend by continually attending and hosting education events—which are also open to guests, so if you’ve ever wondered how to use a curling wand, you can join in and learn the latest techniques too. Check out their incredible offerings here and then click through to set up your first appointment! PLUS, rooted is giving away A prize package featuring 5 top services, enter Now to win the ultimate beauty bundle! !